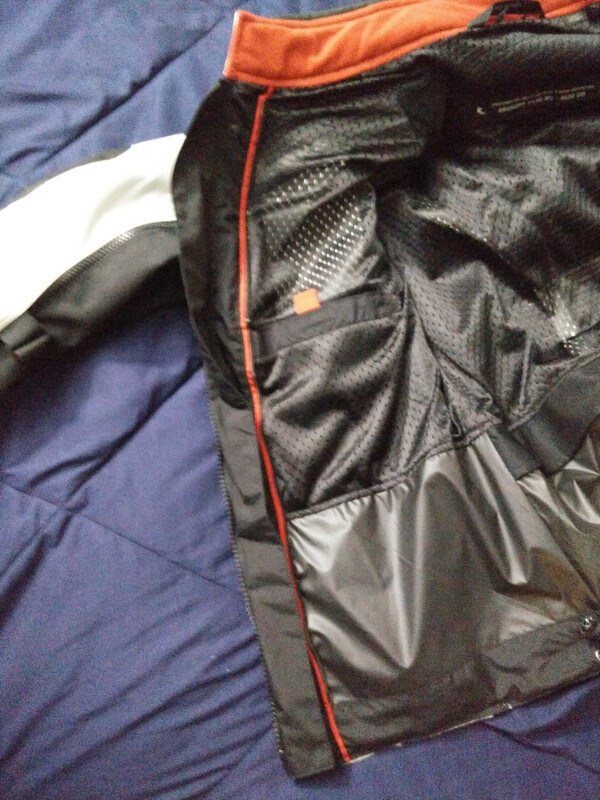 I just picked this jacket up off of a friend who got it for his son to go ADV riding with him, but it never really took off and it just sat in the garage. Luckily, one man's trash is another's treasure This textile jacket is aimed more towards the ADV crowd, but makes for an excellent street jacket as well with lots of visibility and protection from the elements. http://www.revzilla.com/motorcycle/revit-sand-2-jacket Currently on sale for $50 off!!! Rev'It! has been making quality gear for a while, and it really shows. With dozens of well-engineered, and, more importantly, thoughtfully placed features, this jacket will quickly impress you. I've worn this for about a week now and I'm still finding little details every time I fiddle with it that make me go "oh hey that's really cool!" Right then, that's the meat and potatoes, now on to the sides. I could list off every nifty little thing I've found out about this jacket, but I'd probably hit the word limit for a new thread, so I'll hit on some of the major ones. First and foremost, is what Rev'It! calls their FlexiSnap collar. It's a traditional snap collar that has a 5-position adjustment built in. Really nice for keeping things snug so the wind stays out, or to keep it loose and let things breathe a bit. Behind either hip pocket, is a hand warmer area that you can quickly tuck inside of. No velcro or zippers to get in the way. Great for keeping your hands warm while you plan out your ascent of a tricky hill or wait for your slow poke companion to catch up. Or both. The jacket can be worn in one of 4 configurations thanks to the thoughtful zipper system for the liners. It can be worn as a shell only, shell + thermal liner, shell + waterproof liner, or shell + both liners. 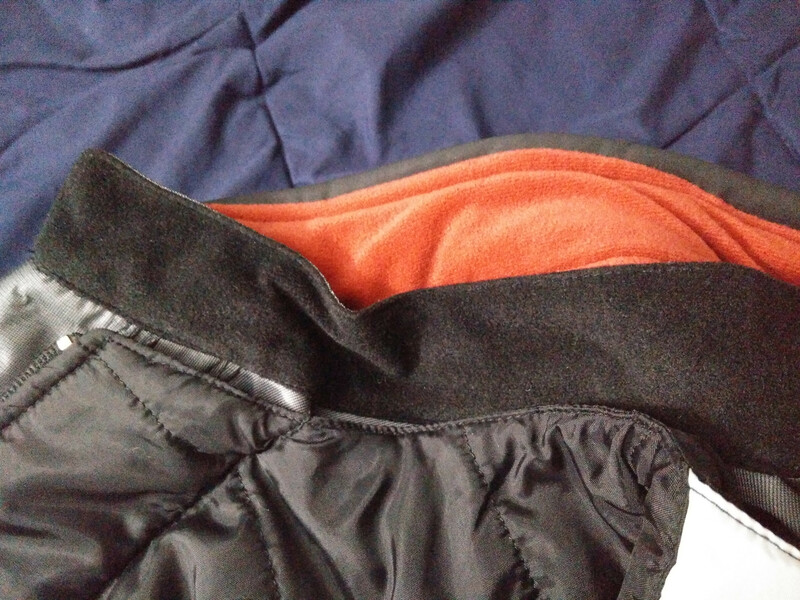 Additionally, the liners can be zipped up independently of the shell, so you can still get to the inside pockets without letting out all your body heat in the process. When windblocking isn't a priority, the center windflap can be folded in and snapped out of the way. None of the zippers are weather sealed, so a bit of wind will get through. The collars on the jacket shell and liners are trimmed in a soft fleece-like material for extra comfort. 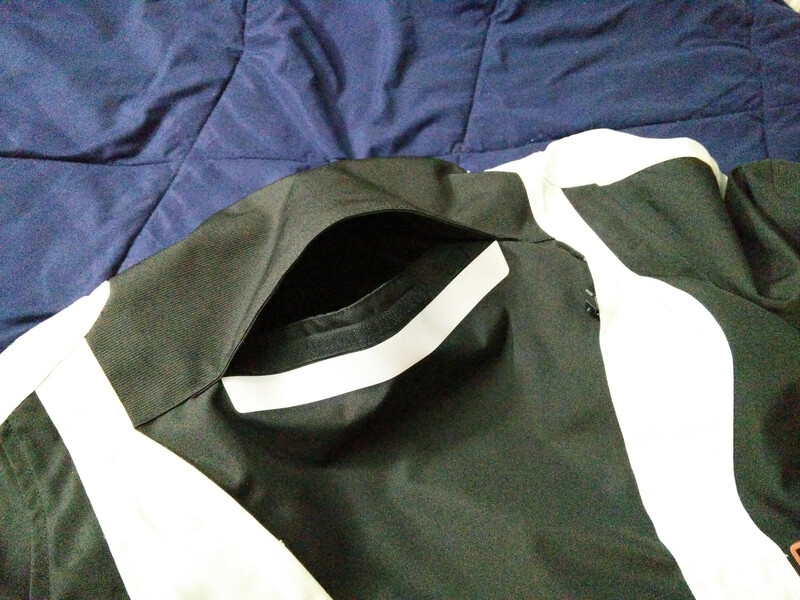 The liner sleeves attach at two points inside the shell to prevent them from getting snagged or twisted while taking the jacket on/off. First, is the lack of weather-sealed zippers on the front of the jacket. The main zipper and two chest vent zippers are totally open to the elements, letting in wind and rain with nothing to stop it. 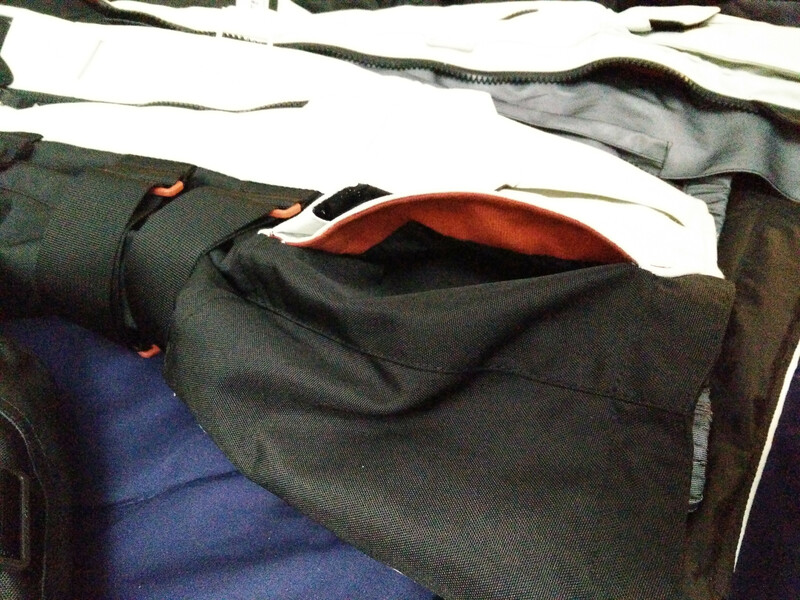 Second, the only locking zippers are the main zipper and liner zippers for attaching them to the shell. 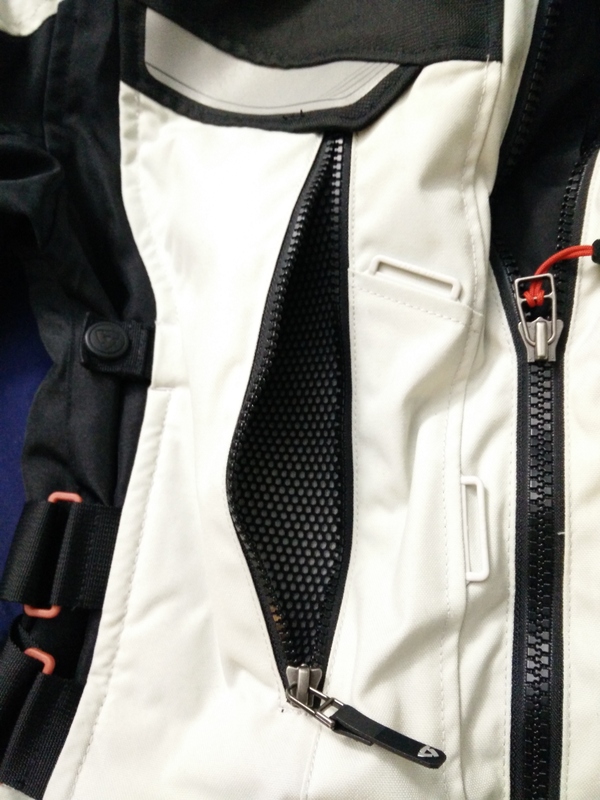 The chest and arm vent zippers can come undone without using the zipper pull, and thanks to the snagless, fluid motion of the YKK zippers, that can be done quite easily. 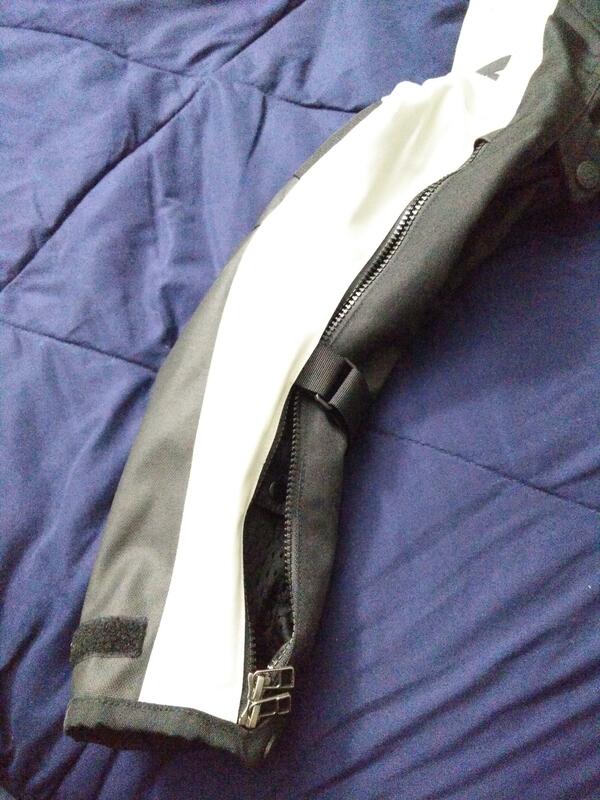 I've noticed the upper arm vent zipper try to creep downward a couple times already. Even with those two things, this jacket is a winner and will be getting a lot of use in these cooler rainy months before winter.